Food blogger and author of the New York Times best-selling cookbooks, Against All Grain (21-month bestseller), Meals Made Simple and Celebrations: A Year of Gluten-Free, Dairy-Free, and Paleo Recipes for Every Occasion (Sept. 2016), Danielle Walker (www.againstallgrain.com) is the new face of grain-free cooking. A self-trained chef, Danielle tempts a range of appetites with her innovative, accessible Paleo-influenced recipes that are not only healthy and delicious but are also credited with saving her life. Paying homage to the dishes she loved from her pre-Paleo days, she imaginatively recreates all of her favorites without grains, gluten and most times, daily. For months, Danielle suffered from drastic weight loss, joint pain, and malnutrition. After countless doctor visits, she was diagnosed with a severe form of Ulcerative Colitis at age 22, just two months after getting married. Despite her expansive array of medications and prednisone steroids, Danielle was hospitalized numerous times each year, admitted repeatedly for multiple blood transfusions due to morbidly low hemoglobin levels. Left with a choice between surgery or a life-long weekly treatment with harsh side effects, Danielle began her own research to explore other options. A friend’s success on the Specific Carbohydrate Diet (SCD) led Danielle to give it a try, only eating grain-free, sugar-free, starch-free, and unprocessed foods. Although no doctor would support a dietary change as a part of her treatment, Danielle realized that she could take things into her own hands to achieve real results. 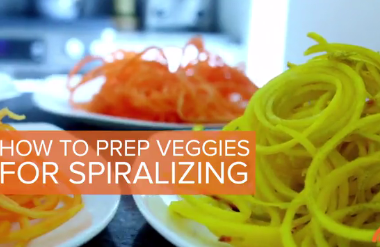 Danielle noticed improvement, but committing to a new, drastically different diet was not easy. When her son was just 9 months old, she had an extreme setback which caused her to be hospitalized yet again and required multiple blood transfusions. She began eliminating more food groups including grains, lactose, and legumes, following a plan that closely mimicked the Paleo diet. Seeing drastic progress after just 48 hours, Danielle began dedicating her free time to creating delicious comfort foods that could be enjoyed on a restricted diet. She focuses on flavors and textures, refusing to feel deprived despite her limited food choices. Danielle started her blog, Against All Grain, to help others suffering from similar ailments continue to enjoy food. Her recipes are all entirely grain-free, and consequently gluten-free, free of refined sugars, and minimal to no dairy. Most are appropriate for those following the Paleo, Primal, SCD, GAPS, and gluten-free lifestyles, and more. With her acquired culinary skills, love for food, and an equal love for journalism, she has become a source of hope for others suffering from similar allergies and autoimmune diseases. Fostering a large, but loyal following on her blog, Danielle expanded beyond the internet and released her first cookbook, Against All Grain: Delectable Paleo Recipes to Eat Well & Feel Great, in July, 2013, followed by the release of Against All Grain: Meals Made Simple: Gluten-Free, Dairy-Free, and Paleo Recipes to Make Anytime in September, 2014. Her third cookbook Celebrations: A Year of Gluten-Free, Dairy-Free, and Paleo Recipes for Every Occasion hit shelves in September 2016. 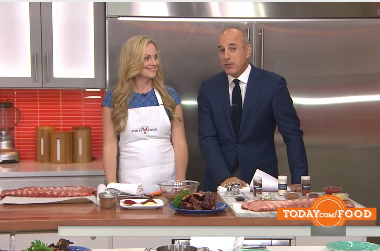 With over 776,000 likes on Facebook, Danielle has become a beacon of hope in the food community. Danielle lives in the San Francisco area with her husband and sons. The Brooks Group began working with Danielle in January 2014. A relatively new grain-free food blogger, Danielle had one New York Times bestselling cookbook, Against All Grain, and was about to launch her second, Meals Made Simple. At the time, “gluten-free,” and “grain-free,” recipes were a tough sell for national, mainstream press coverage. We were charged with introducing Danielle to the consumer press, sharing her story and increasing awareness of her expertise, and highlighting that not only were her recipes grain- and dairy-free, they were also delicious and accessible for everyone to enjoy. From Danielle’s vast library of recipes and intriguing health story to her significant book sales and social media growth, we had a dynamic story to tell. 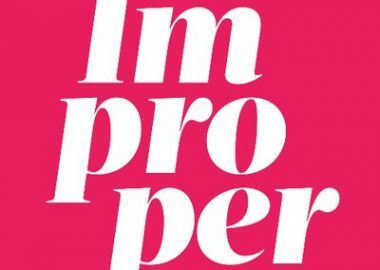 Securing in-person meetings with Danielle and top editors at consumer magazines and producers/talent bookers at leading broadcast outlets to build and maintain relationships with a range of mainstream media contacts. Profile outreach to position Danielle as a digital influencer and increase awareness of her brand story. Our outreach resulted in coverage that highlighted the organic growth of the Against All Grain brand and Danielle’s growing success as a cookbook author. The Brooks Group conducted seasonal recipe outreach to capitalize on Danielle’s vast library of recipes, securing holiday and seasonal coverage in an effort to drive readers to AgainstAllGrain.com and to purchase her cookbooks, Against All Grain, Meals Made Simple and Celebrations. To solidify Danielle’s growing role as a leader in the grain-free lifestyle space, The Brooks Group executed targeted outreach to position her as the go-to paleo lifestyle expert for healthy living and paleo focused publications. 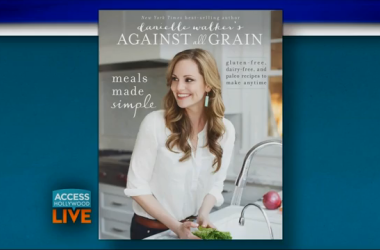 To promote the launch of Danielle’s third cookbook, Against All Grain: Celebrations (Sept. 2016), The Brooks Group organized a strategic campaign that involved pitching desk side meetings with national consumer magazine food editors six months prior to the launch. 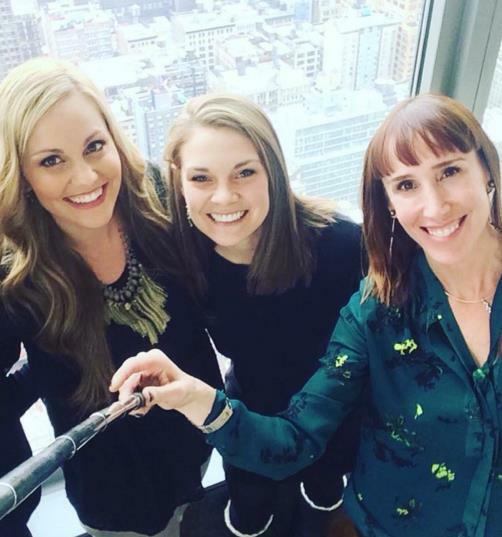 Danielle met with editors at O, the Oprah Magazine, Self, First for Women, Parents and more. These meetings resulted in multiple cookbook placements in consumer magazines. As the book launch approached, our media outreach strategy included a targeted galley mailing to food and nutrition editors at consumer magazines, recipe outreach and interview coordination. The team worked closely with Danielle’s book publisher to conduct outreach to national broadcast outlets and digital video producers. 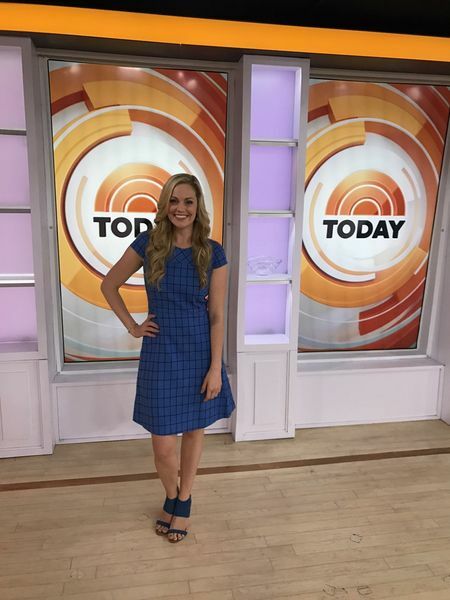 The team’s consistent outreach over the years to producers at top shows including Today, Good Morning America, Dr. Oz and more, helped lay a solid foundation of interest and awareness of Danielle and her story which paved the way for opportunities timed to her third book launch. Due to Danielle’s large social media community and digital influence, we targeted a number of digital video and Facebook Live opportunities which would move the needle when it came to book sales. In addition to TV and digital video opportunities, a large focus of our outreach and follow up was to secure digital coverage of the new cookbook with links to purchase to assist with driving sales. 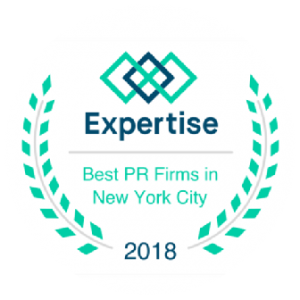 Throughout the duration of our partnership, The Brooks Group secured profile coverage in Forbes “30 Under 30,” Success, Today.com, Gluten Free Living and a cover story in Experience Life. Danielle’s recipes and tips were featured in magazines and top digital outlets including O, the Oprah Magazine, Shape, fitness, POPSUGAR and more. Finally, The Brooks Group spearheaded outreach to coordinate successful New York City media days to promote Danielle third book launch and kick off her multi-city book tour. 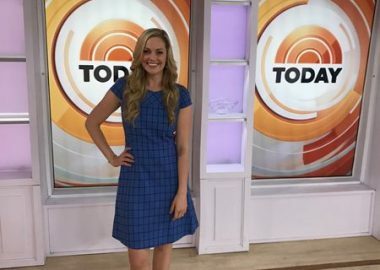 In September, 2016, Danielle made her debut appearance on the Today Show and The Sprout Network’s Sunnyside Up Show. The Brooks Group also secured digital videos with Real Simple, AOL Build, and Today.com. Celebrations was covered widely across national publications including First for Women, Clean Eating, Parade, Family Circle and on People.com, Health.com, and more, and earned a spot on the New York Times bestsellers list. Within two months of the book launch, Brooks Group PR generated over 90 placements and more than 467 million impressions with confirmed coverage continuing through 2017.